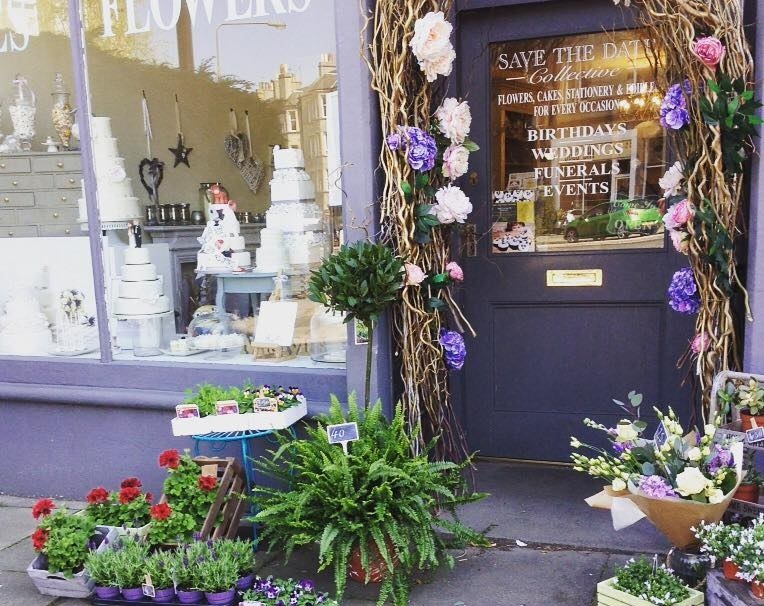 Our fashionable Marchmont boutique in Edinburgh is open Monday to Saturday 10am until 5pm and offers our unique wedding cakes, designer birthday cakes, signature cupcakes, fresh flowers, greetings cards, party supplies and sweet treats. We have created a ‘one stop shop’ for every occasion! Cakes, cupcakes, flower bouquets and buttonholes can all be ordered in store or over the phone. If you would like more details about wedding and event packages please contact us to book an appointment. To place an order to the value of £100 or less we require a 50% deposit at the time of booking. The remaining balance is due on collection or prior to delivery. Wedding and event packages as well as individual items require a £100.00 (non-refundable) deposit (subject to the value of your order) and the balance is requested two weeks prior to the date of delivery. We can accept payments by cash, cheque, bank transfer or by card – in store or over the phone. All packages for weddings and events will be delivered, set up and collected by our team. Orders can be placed at any time but it is advisable to give us a minimum of two weeks notice if you would like to order a celebration cake or anything bespoke. Wedding & event packages require more consideration and we would therefore request that you allow us at least two months to plan and perfect your designs. To avoid disappointment securing your date, we are now accepting orders up to eighteen months in advance. However, if you find yourself a little behind time we will try our best to accommodate your requests.